Domingo Divinagracia is a 32-year old farmer who tills his father’s 2-hectare farm, purchased from savings as an overseas worker. 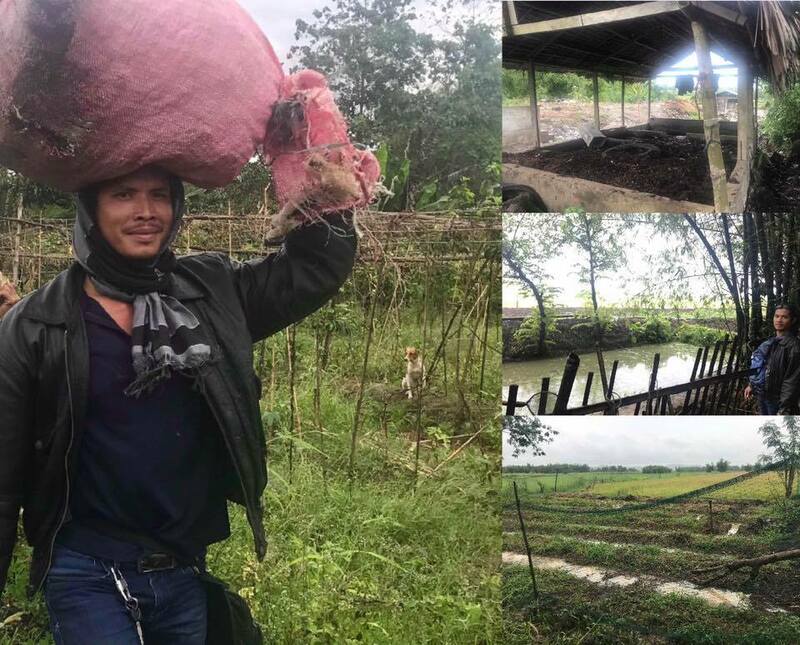 The municipality of Hinigaran, where Domingo lives, also allows him to work on a 4-hectare site in exchange for taking care of the area where garbage is segregated and young trees have been planted. 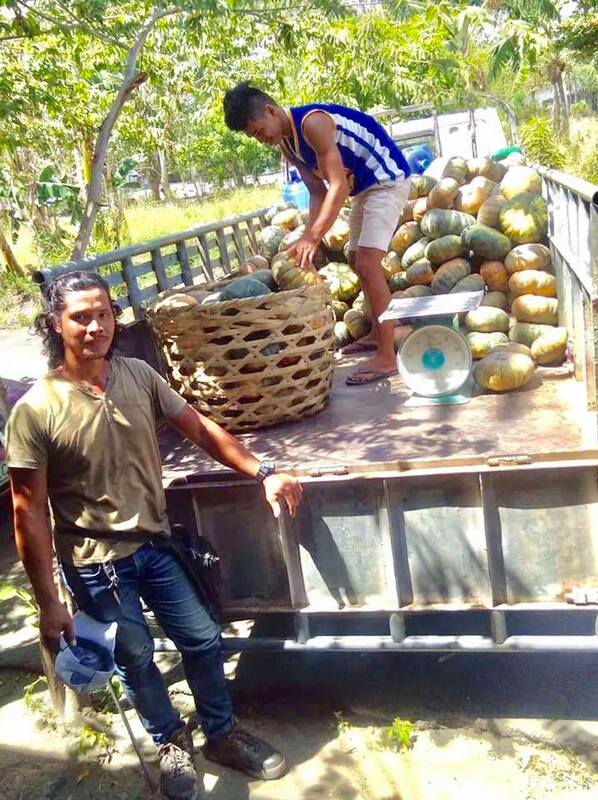 Domingo delivers 1.5 tons of squash and 16 kilos of malunggay, on time and as scheduled, to be processed into Mingo Meals and Rise Against Hunger food packs. When I was a little girl I heard my grandfather advocate for what he called “four story farming” where one would grow fruit trees on the highest level, vegetables below, rice next, then ducks and fish on the lowest, to maximize production output per unit area. My Lolo’s vision remained only in the figment of my imagination until the day we visited farmer Domingo to pickup his 48 kilos of camote tops for NVC Foundation’s production plant. And there in his little farming areas which included his town’s eco center where he is in charge of segregating waste, Domingo had a myriad of crops which included okra, squash, rice, bananas, malunggay, lemon grass, peanuts, and more! Vermicompost he produces for his fertilizer needs, and he has chickens, ducks and tilapia as well. All this farm life happening on a little over three hectares of land. 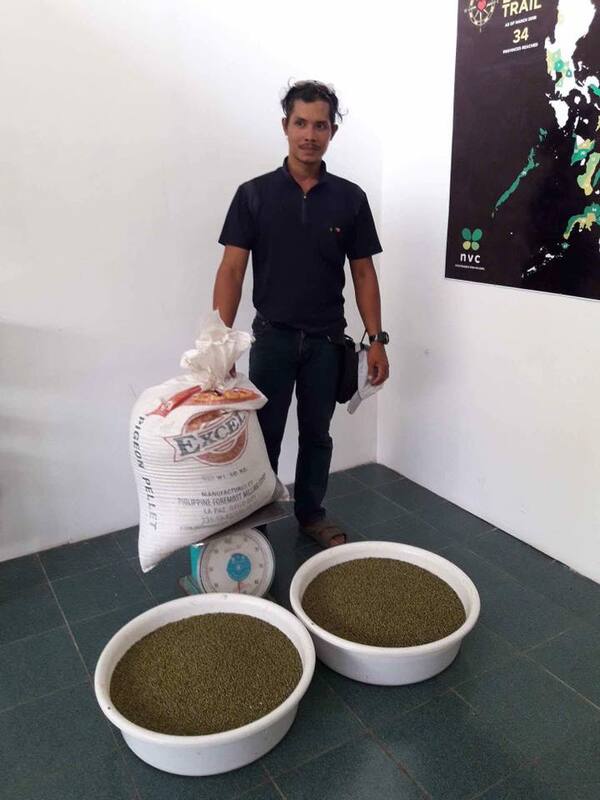 As Domingo rattled figures on how much better off he is on every square meter rather than if he kept to farming only rice, I felt like a little wide eyed girl once more listening to a wise old man. There was only one sad note to our conversation. When I asked him if he could plant more malunggay so we could purchase some for the production of #MingoMeals, he said that the more malunggay trees he plants, the more his neighbors ask from him. Even if he gives them planting materials so they could plant their own. After buying mongo produced in Argentina and Australia when local supply is insufficient for the Mingo Meals we produce, having one of our farmer partners come down to deliver 98 kilos of mongo means so much to us!